What is the programmer mode of Windows 10? Windows 10 is especially different from previous versions of Windows, in the amount of lines of communication that Microsoft has opened with both users and developers. A clear example of this is the Insider program with which we can test the preliminary versions of the system. Without having to become Insider, you can find in the options of Windows 10 a complete section for programmers. Here you can activate something called “programmer mode” or developer mode. Obviously they are functions designed for development, but if you are curious to know more about it, we explain it to you. Whatever edition of Windows 10 you have, Home, Pro, Enterprise, etc. The programmer mode can be activated. To do this, simply press the Windows + I key to open the Settings menu. Then select Update and Security and then the option For programmers. There you will find a first section where you can select the Programmer Mode by checking a box, you will have to restart your computer in order to use all the functions. For developers working with universal applications in Visual Studio, activating the programmer mode is indispensable, or you may not even be able to open a project. Programmer mode allows you to install universal applications that are outside the Windows store. Installing apps outside the Windows Store is obviously necessary for a programmer, as he is testing his own app in the environment while building it, but for a user it could perhaps be useful in some case, and also a dangerous weapon that could expose him to malware. It should be used with care. In order to use the Ubuntu Bash console in Windows 10 you also need to activate the developer mode. To do this you have to activate the Windows Subsystem for Linux from the panel to activate or deactivate Windows features. If you disable programmer mode, the Linux shell will also be disabled. Another thing that allows you to make the programmer mode simpler, is to access certain file explorer options that are normally hidden. From the same setup menu you can do things like change settings to show extensions of all files, show hidden files, or view the complete path to a file from the browser’s address bar. 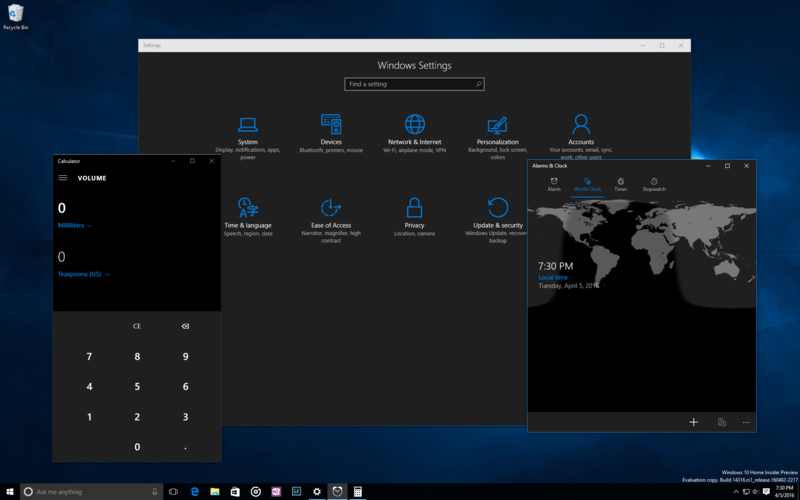 Remote access to the desktop is also part of the developer mode. You can change Windows Firewall settings to allow connections to other computers by running Remote Desktop. Finally, in programmer mode, you can change the execution policies of your computer so that Windows PowerShell can run scripts that are not signed. Activating the programmer mode basically tells Windows that you are a developer and so the system makes some adjustments to create a more friendly environment with the development of apps. However, it may be useful to other types of advanced users who are not necessarily programming something.